When we use the term drug or drugs we are referring to illegal substances, along with legal highs. Drug users don't start using drugs to become addicted on purpose. But with many drugs containing substances that are addictive, people who use them casually in their spare time can then become regular users. Becoming dependent on drugs can affect your family and friends. It can also have a serious impact on your own well-being. Drug overdoses can be fatal, and you can die instantly from misusing drugs that you can buy over the counter. This includes things like aerosols, glues and other solvents. Don’t feel under pressure to try drugs if you don’t want to. Because the effects of drugs can be much greater in crowded and busy places, don't take anything if you're surrounded by large numbers of people. Even cigarettes are dangerous to your health. Smoker’s skin can be prematurely aged by between 10-20 years and although the damaging effects of cigarette smoke on the skin are irreversible further deterioration can be avoided by stopping smoking. Drugs can affect people differently, but they can harm your body and change the way your mind works so that you don’t have so much control of yourself. Smoking can lead to cancer and heart disease. 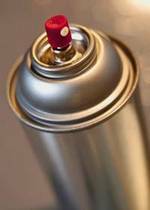 Solvents can cause blackouts, vomiting, heart problems and even instant death. Some people get dependent on drugs including alcohol and cigarettes if they are using them often and regularly. There is no such thing as a safe drug.